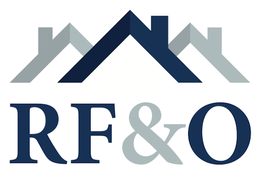 At R F & O we pride ourselves on offering a reliable and efficient service to all our clients. Recognising the importance of customer care, we strive to offer a professional yet friendly and approachable service. RF&O deal with a wide variety of properties in all price ranges. We’re local, and we know your area like nobody else! RF&O has been a family run business since 2007. Our aim is to provide a quality service to our clients at a competitive price. Provide our Clients with regular feedback and assistance with all aspects of the selling process. Offer our Clients peace of mind, safe in the knowledge their investment is being well cared for. 1. Property Letting, Selling & Management is what we do, giving our entire focus to these services for our clients enables us to be far more cost effective. 2. We Work closely with all of our clients to ensure that they receive the maximum profit from their investment. 3. We constantly review our costs, to ensure that our charges are kept to a minimum.